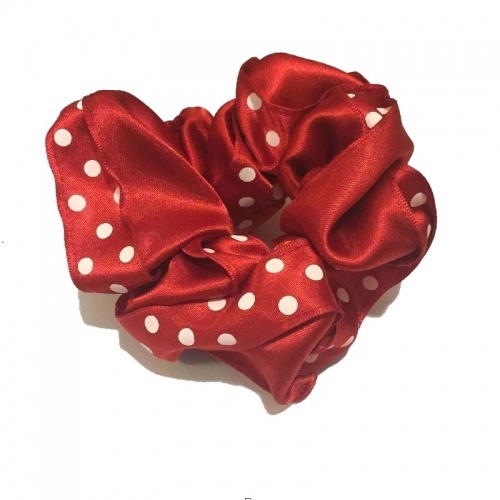 Ponies On Parade White Polka Dot Scrunchie ideal for the show ring. Made from Berisfords Polka Dot Satin Ribbon. Made to order so please consider when ordering, also available are mini pig bows and pig bows for a matching show ring finish. Onesize scrunchie.